First up is Joan Blondell and the up and coming Bette Davis who both appear in this years Three On a Match. Here Joan sports a playsuit, and doesnt she look sporty? Bette wears a fashionable green and white one piece. Now off down to Malibu where the lovely Joan Blondell is the just the ideal girl to introduce you to our summer bevy of Hollywood beauties. Next – the fans appear to have won ! Ever since Clara Bow announced her retirement last year, the movie world has been in mourning, but Miss Bow has promised to make another film again and to prove she’s still in trim, here she is in all her swimsuit glory ! Sun, surf and sand – it’s the Malibu beach follies with an all star cast. 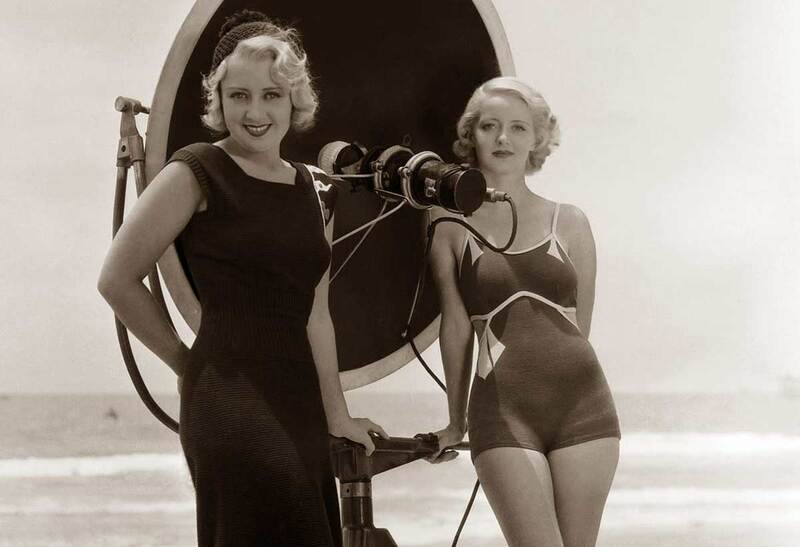 Anita Page is giving you a good look at her new bathing suit, while Lila Hyams prefers a two piece blue and red affair. When the warm weather sets in, Sally Eilers is in Olypiad mode. Note the sash ! Red, white and blonde! Marian Marsh‘s trunks are red and the top of her bathing suit is white trimmed with red. Note the tricky V-shaped backline. Lila Hyams wears a one-piece suit of blue and white jersey. Blue stitching around the neck and arms and a white bow around the waist make this a smart swim suit. Joan Blondell – again ! in a flesh colored bathing suit with the new ‘square’ neck. It’s daring – so don’t go for it unless you have a figure a la Blondell. 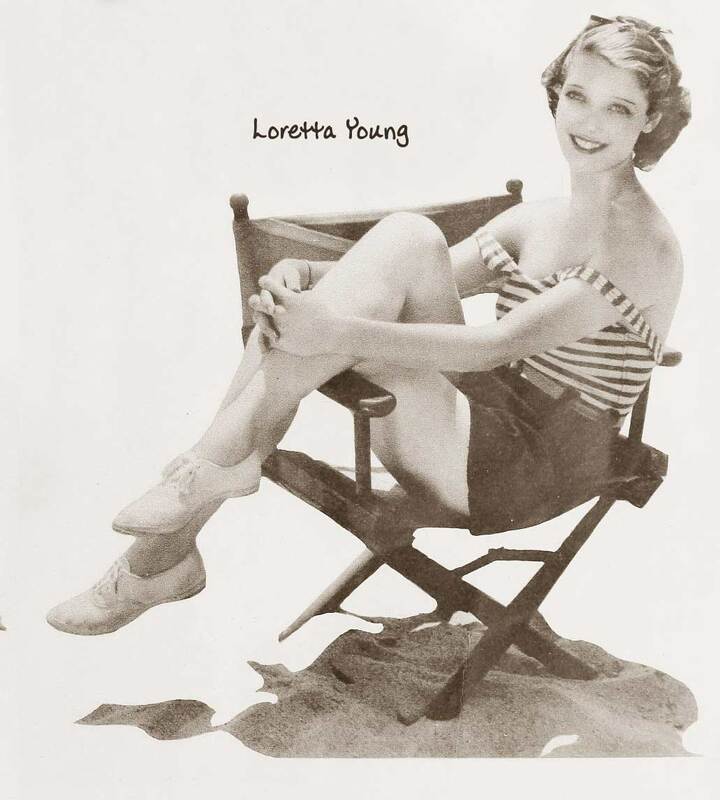 Loretta Young wants an even sun tan – so she lowers the straps of her two piece red and white bathing suit ! Who is Orry-Kelly and why should I buy his memoir?